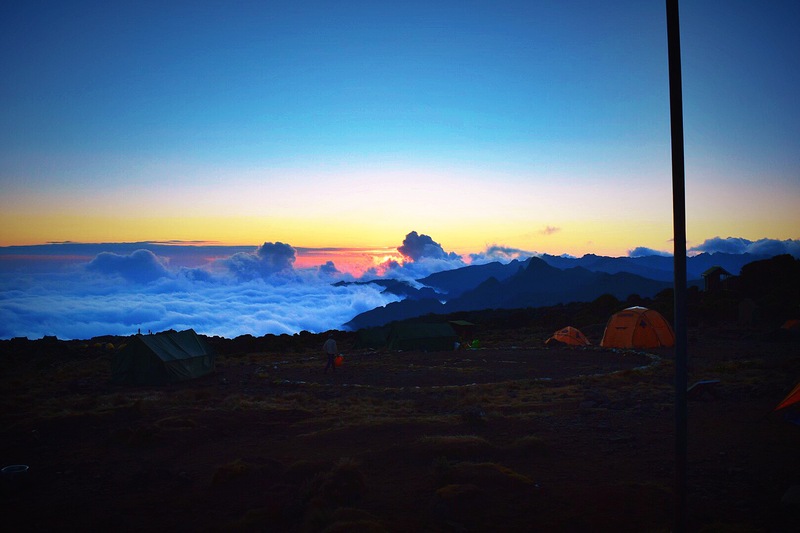 I witness my first sunrise on Mount Kilimanjaro surrounded only by the porters who are too busy dealing with the day’s preparation to admire the view. It is so beautiful and calm but doesn’t that describe every dawn? For me, this time has always signified the promise of a new day bursting with amazing potential and why I try to be awake and witness as many sunrises as possible. We learn that there is a set routine to the morning: Wake up call with offers of coffee or tea brought directly to our tents. We are also given basins of warm water to wash our faces and freshen up for the morning. And then breakfast is served in the dining tent about 1-1.5 hours later. Ok so I was not sure what to expect from the dining aspect – it’s a camping trip right? We had decided to go with Taraji Kilimanjaro based on the recommendation on my sister’s friend who had climbed with them the previous year and had described a really great experience including the food. Well I quickly had my fears laid to waste and had some seriously tasty and filling meals. After breakfast, we gather our daypacks and head out on the trail. The porters will break down camp, pass us on the trail, and set up a lunch stop somewhere on the trail. 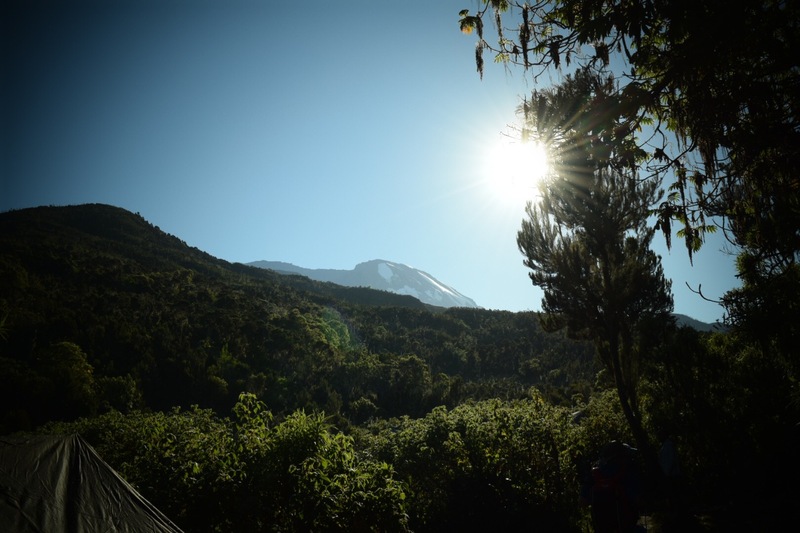 After awhile, we are able to see how far we have climbed as we are able to look down the trail to the Machame Camp. The view is amazing all around and the most striking thing for me was being above the clouds. It made the trek seem so surreal and magical as the only other times I am above the clouds are on flights. 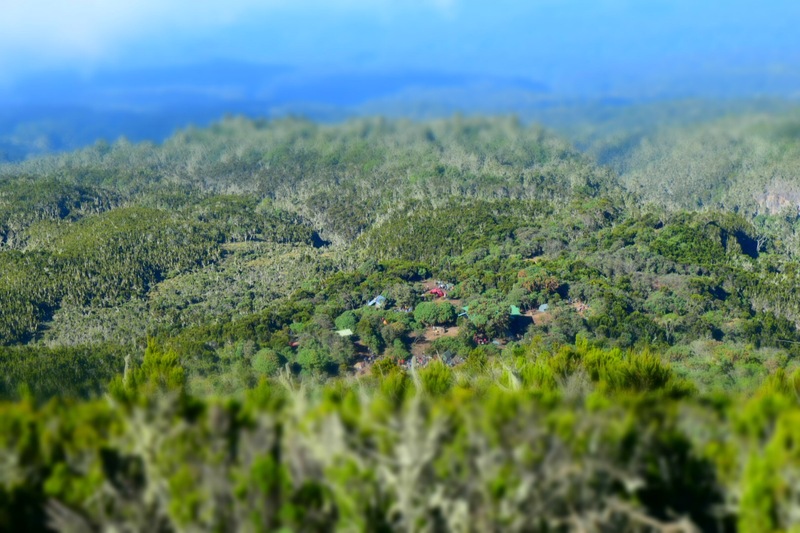 In another direction, Uhuru Peak on Kibo beckons us closer. Fun facts: Uhuru means freedom in Swahili and was a name given to commemorate Tanzanian independence from Great Britain in 1961 (and something I learned this year on Jeopardy)! 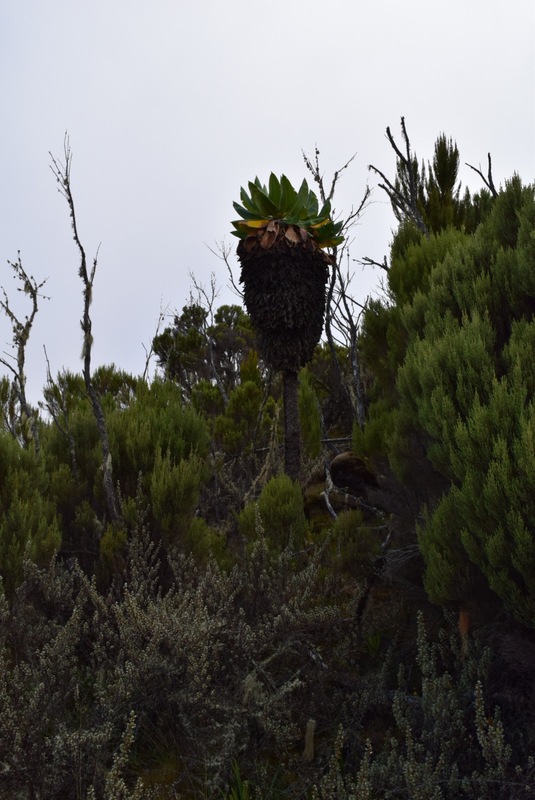 Kili is composed of three distinct volcanic cones: Kibo 19,340 feet (5,895 meters); Mawenzi 16,896 feet (5,149 meters); and Shira 13,000 feet (3,962 meters). Uhuru Peak is the highest summit on Kibo’s crater rim. Oh and the name of the outfit that we used to climb Tajari Kilimanjaro : Taraji means hope in Swahili. I am not a patient person by nature – no that is quite the understatement – I want to get things done and get them done in the most timely manner. So Kili and the “pole, pole” manta was extremely difficult for me to handle as hiking. 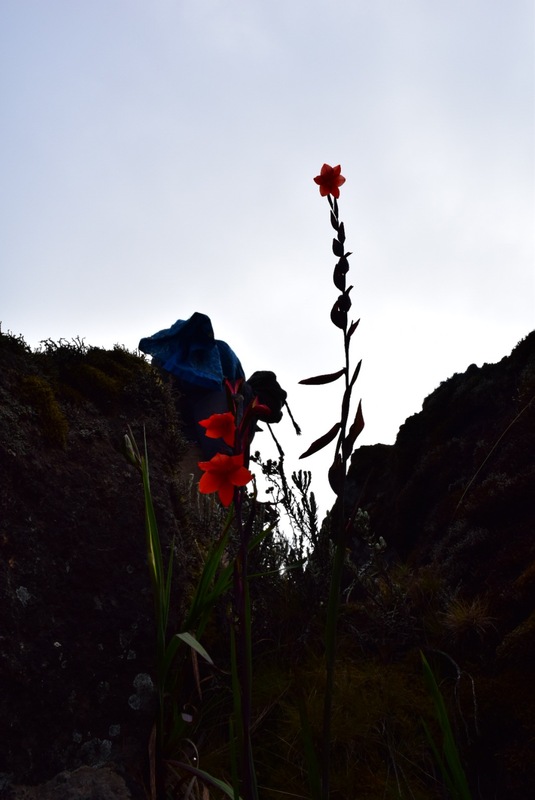 Whenever I hike, I do it to be in nature but also like to hike at a fairly quick pace and that was just not the way for Kili. I tried to “lead” the group for awhile and pick up the pace but that plan quickly unraveled once the assistant guide realized what I was doing. In fact, I was told to “respect the mountain” which would later come to haunt me and become the stuff of cautionary lore for my niece. Good thing the scenery is amazing and helps to distract me. We also start to get to know our Taraji Kilimanjaro team and they, us. We make our way to Shira Camp [elevation 12480ft (3830m)] in the afternoon and again have the camp set up and ready for us. We make the most of the down time to talking to them team and learning some Swahili. Soon dinner is consumed, the sun sets and it is already time for bed.